Amsterdam based design studio Bernotat&Co is made up of partners Anke Bernotat and Jan Jacob Borstlap. 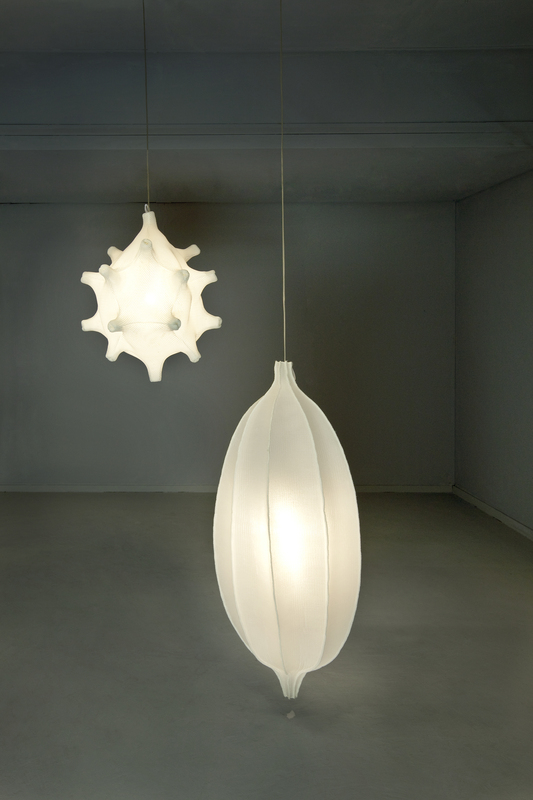 They will present their collection of Radiolaria lamps at the London Design Festival this year. Anna Bates: How did the Radiolaria Lights take shape? Jan Jacob Borstlap: Our projects always stem from long-term fascinations. We’ve had this book by the German biologist and artist Ernst Haeckel – he published over 100 detailed illustrations of animals and sea creatures in his book called Art Forms in Nature, and we’ve had it on the bookshelf for a long time. Among the prints are many radiolarians – unicellular organisms that produce intricate mineral skeletons. We’ve wanted to use some of these illustrations as the basis for objects for a long time. AB: What is this material? What are its characteristics? JJB: It’s a 3D knitted polyester textile and it’s quite stiff so you can shape it. It’s a very breathable technical material and mostly it’s used as a spacer in applications where you don’t see it – like mattresses and car seats. AB: The lamps glow in the dark – is this a property of the material or is it something you added? Anke Bernotat: We added this so that when you turn off the lights you have this mystical glow – it builds this image of an underwater world. AB: How do you apply it? JJB: It’s a secret! It’s smart engineering in a way. It’s not that difficult – smart engineering usually means it’s quite simple. AB: How do you manipulate the material to make these complex shapes? JJB: It’s funny you say they look complex, because the designs start with these identical geometric shapes: most of them are built up from triangles. We stretch the fabric a bit to make it different and then where all the triangle points meet you get a tentacle – like a sea anemone mouth. The parts are stitched together with a special sewing tool. Anke Bernotat: The lamps have no inside structure – there is no wire, no support – so they are influenced by gravity, which we like, it gives them a kind of natural irregularity. Nature also works with very simple mathematical principles – but in the end you get something looking very complex. As an aside, working in this low-fi way is good because it makes the objects easier to repair. AB: So is the sustainability of your products very important to you? AB: Will you expand the Radiolaria series? JJB: No, I think we are happy with the collection as it is. But we’ll keep using this language for many other things. Anke Bernotat: Our recent Chrysalis Bags are inspired by seeds, for example. We’re also working on a new series of lighting and a chair that continue the nature theme. 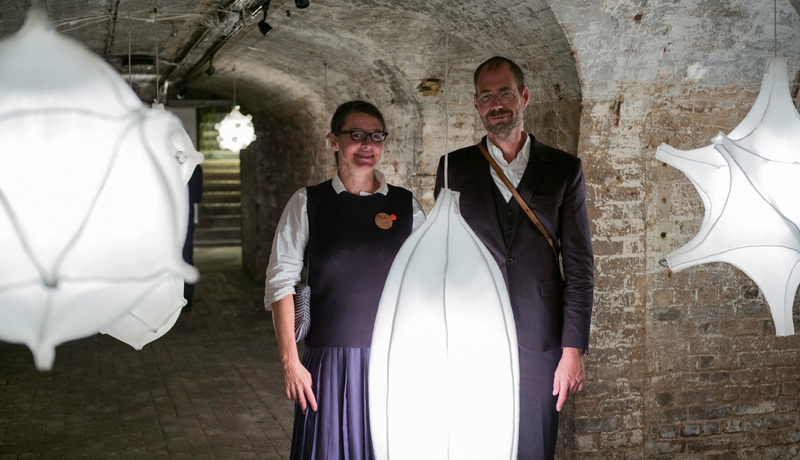 Radiolaria Lights by Bernotat&Co were part of the exhibition Enlightened Design II during the London Design Festival 21-24 September 2017 at The Crypt Gallery, Euston Road, London NW1 2BA. Click here for more information.